There is so much to think about when cleaning your home; it’s easy to get bogged down by the number of tasks right in front of you. But it’s important to remember that there are other important areas that need regular and thorough cleaning. Chief among them are your air ducts. Air ducts perform an important function, circulating air for your HVAC system through the house. That means you don’t have clean ducts, you’re breathing in whatever contaminants are in the ducts. For your benefit, we’ve put together this quick list of some of the many ways cleaning your ducts can benefit you and your home. A Cleaner Home – If your ducts are dusty, they will distribute that dust into the air in your home, meaning that not only you will be breathing in the dirt, but your ducts will be distributing dust at a constant rate. That means more time spent dusting and mopping in order to keep your home in top condition. But fortunately, all it takes is hiring a professional duct cleaning service to help reduce the amount of dust in the air and cut back on the time you spend cleaning. More Allergy Friendly – About 80% of Americans face daily exposure to dust mites, while around 60% are exposed to pet dander. Both these numbers are according to the Asthma and Allergy Foundation. All of that danger and dust can get stuck inside your ducts, in addition to pollen, spores, bacteria, and more. This can make your home a very uncomfortable place for people with Asthma or allergies. Regular duct cleaning can help you remove some of those more harmful elements and make your home more allergy friendly. Fewer Odors – If your home has an unpleasant smell no matter how hard you clean, the culprit might actually be the ducts. That is because unpleasant smells can collect in your ducts and then be suffused throughout your home whenever you run your HVAC. 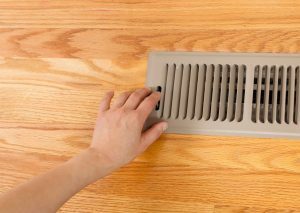 Cleaning your ducts can help to reduce the sort of particles that trap in unpleasant odors, giving you a fresh, clean smell. Cleaning your ducts might not be the first thing you think of when it comes to home care, but it’s a vitally important part of home maintenance. Clean ducts means less dust and fewer odors and allergens, which will allow you to better enjoy your home.